A little pricey for a ms 64 and not vf , however it is NGC graded and the coin I received almost looked proof uncirculated I was pleased . THE COIN WAS JUST AS DESCRIBED ON TV. 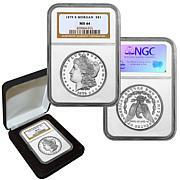 SINCE IT IS AN NGC GRADED COIN THE, CONDITION OF THE COIN WAS AS DESCRIBED. My expectations were high due to other reviews and this coin did not disappoint. Beautiful coin, every bit an MS64. "Hot Lips" takes on new meaning. 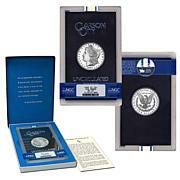 It doesn't happen very often, but once in a while an error coin is released from the United States Mint. 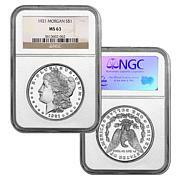 This Morgan features doubled-up lips on Lady Liberty. Under magnification, you can see the double lip. What an interesting conversation piece for you or a friend.